Research shows that monitoring your fitness increases more than 26% of your physical activity. So the role of a fitness tracker is clearly evident. However, with hundreds of fitness trackers in the market, you may wonder which device is the best to buy. 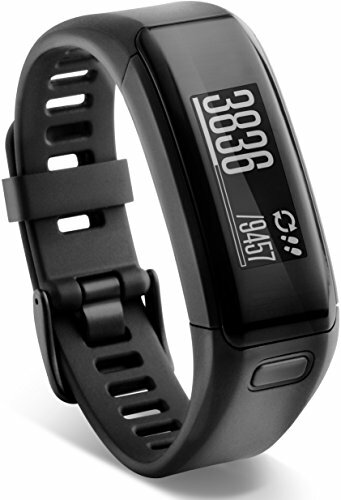 Update Dezember 2015: The Garmin Vivofit 2 is out, find the Garmin Vivofit 2 Review here! 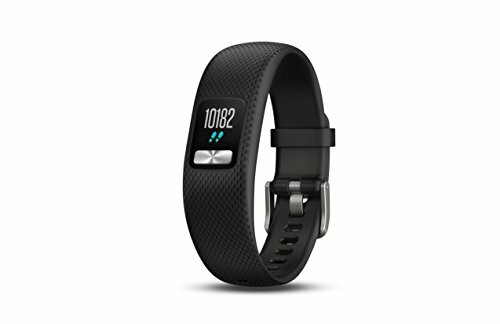 Garmin Vivofit, a top-tier fitness tracker band from the renowned makers of GPS navigation gadgets, is a smart and brilliant device with lots of one-of-its kind features, dedicated to turn your short-term goals into lifelong habits. Unlike most devices, Garmin Vivofit not only tracks your present activity level, but also gives you a daily goal that is attainable. This stylish fitness tracker will keep setting new goals every day as you meet your milestones, inspiring you to lead a brisk and healthy lifestyle. Garmin Vivofit will also give access to their free online fitness community, where you can view your progress and also win virtual badges for your achievements. 2. The Garmin Vivofit alerts you to move! Studies reveal that simply sitting or being inactive for hours will reduce the fat-burning enzymes produced in your body. Even just taking a break for a walk at small intervals can reverse this adverse effect due to prolonged inactivity. But the problem is you will most likely forget to walk while you are busy mailing or meeting your clients. It is here Garmin Vivofit comes to your rescue. If you remain inactive for an hour, the device will display a red ‘move bar,’ reminding you to move. The red move bar will keep building up until you take a walk. Once you heed, and walk for a couple of minutes, the move bar will automatically reset. Garmin Vivofit offers innovative features for inspiration and motivation. It enables you to record your heart rate and zone data to accurately provide the calorie burn information for any workout, be it going for a run or taking a cardio class at the gym. You can also join Garmin Connect, their online community, and take part in competitions with other Garmin Vivofit users or create your own competition and invite friends to participate in the challenge. With a battery that lasts more than a year, Garmin Vivofit tracks your progress round-the-clock throughout the year. You also have the option to set the device to sleep mode while you go to bed. 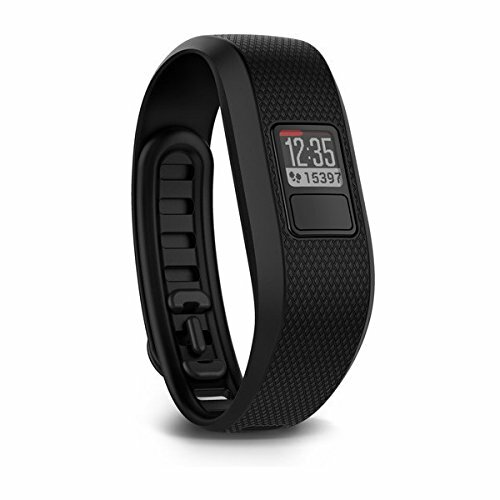 Garmin Vivofit will track your rest by monitoring both your total sleep hours as well as periods of movement. Since the device is water-resistant (up to 50 m deep), you can have a shower or even get wet in the rain, without a care in the world. Being surrounded by like-minded people is the key to achieve your goals. That’s why, Garmin Vivofit gives you free access to its online community, with a simple touch of a button. After initially setting up your account with Garmin Connect, you can access the community from your computer, mobile phone or any gadget compatible with the Garmin Connect app.